The online movie streaming leader and Disney announced today that the two companies entered into a multi-year exclusive agreement for first-run films, animated features and TV series from Disney Studios. There are a couple of components to the deal. The first part involves a multi-year catalog of Disney classics, like “Dumbo,” “Pocahontas,” and “Alice in Wonderland.” Other movies were not listed. Some content will be available beginning tomorrow, while Disney TV and direct-to-video movies will be made available beginning in 2013. One nice feature will be the kid-friendly component of Disney features for those of us that hand over our portable devices to the little-ones for their entertainment. The other part of the deal involves theatrical releases. 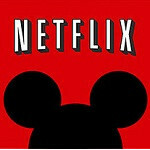 Beginning in 2016, feature films released in theaters from Disney, Disney Animation, Pixar, Marvel and Disneynature will be made available to Netflix customers. Interestingly, Touchstone Pictures was not listed as one of the studios in the deal. That may have some movie buffs wondering, since that studio will be releasing several DreamWorks pictures of the next several years. We are sure to see more announcements as Netflix begins adding content in the coming months and years. BEVERLY HILLS and BURBANK, Calif., Dec. 4, 2012 /PRNewswire/ -- Netflix Inc. (Nasdaq:NFLX) and The Walt Disney Company (NYSE:DIS) today announced a new multi-year licensing agreement that will make Netflix the exclusive U.S. subscription television service for first-run live-action and animated feature films from The Walt Disney Studios. Disney is for kids and parents, haha. Me and my wife end up watching more Disney shows then our daughter does.